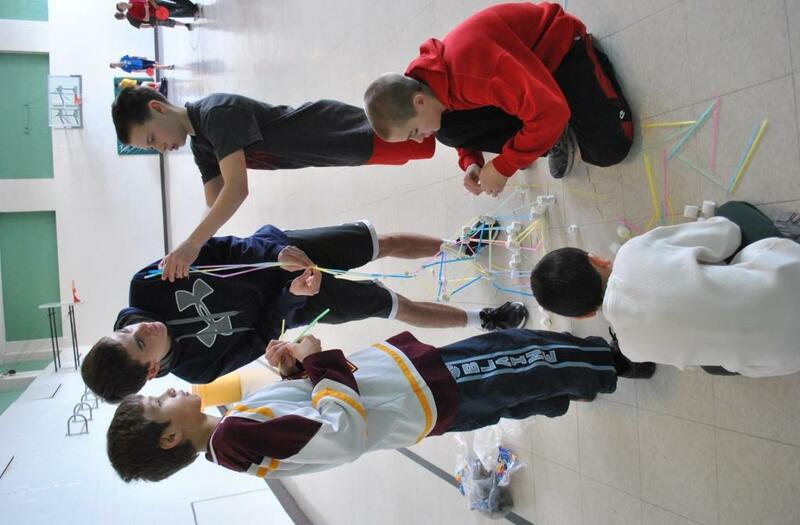 I’ve heard of many team competitions: building the tallest marshmallow tower, making a contraption that will safely land an egg from 3 stories high, creating a boat to carry over 100 pennies, or pasting Popsicle sticks to make the strongest bridge. But I decided to add one more component to bring this to the next level! These are great competitions for teens! 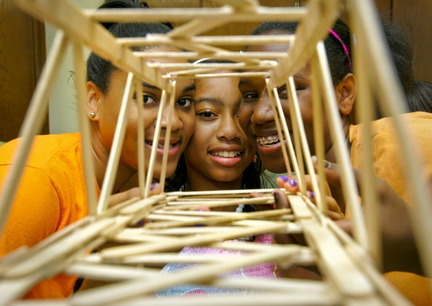 These are miniature engineering activities that teens like to do with their friends during a youth night, retreat, camp or even school. They require teamwork, creativity, trial and error, communication, working under pressure, competition, and more. These create good for discussions on teamwork and lessons for life. Yet, I found it’s not enough to have teams of 5-10 teens working around a single project, as interesting as it may be. This is especially true if the three smartest or bossiest kids on the team monopolize the project. The end result: the other teens on the team lose interest. So it was time for next level! I decided to make these engineering challenges physical, that is, requiring running, dodging, dragging, throwing, etc. Instead of allowing the team a certain number of resources, they had to earn their resources. 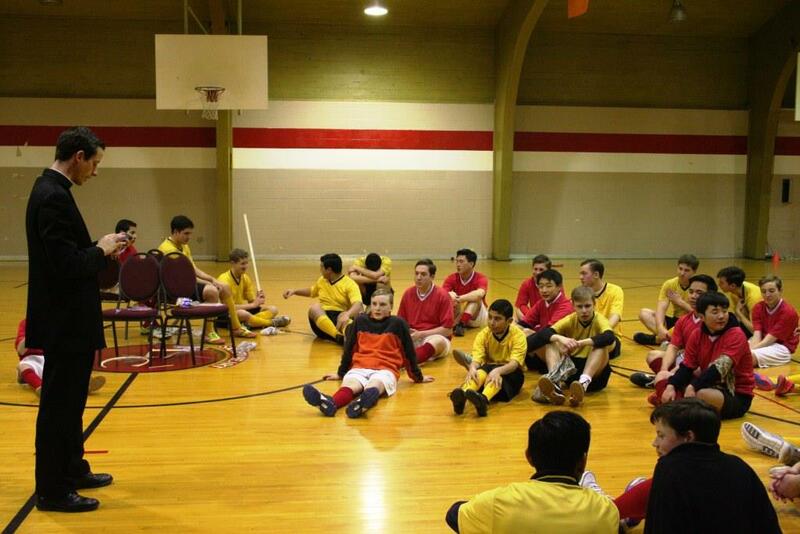 This is where engineering meets dodgeball. Now a team has to assign runners (or swimmers if you can use a pool) to grab resources from a general location while also avoiding being tagged by other team members. So now teams are composed of at least three types of members: builders, runners, and taggers. This means everyone is doing something constructive for the team. Those who like to build can build, those who like to run and spend more energy can do so, and they can switch if they want to try something new. This adds a new element to teamwork and competition. The possibilities are endless, and this is what makes it interesting for the youth minister! Below are two examples of activities I’ve organized in various places. Both were a hit! The point of this game is for teams to build the tallest marshmallow tower. Each team is assigned a corner and/or side of the gym. Each team has a small number of builders, one tagger, and the rest runners. 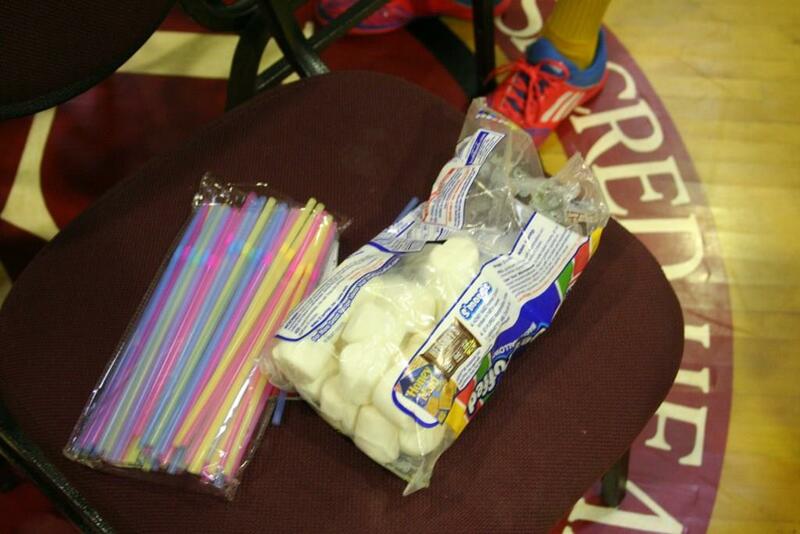 In the center of the gym is a table with all the resources the teams need: marshmallows, straws, toothpicks, scissors. The team’s building area (or home base) and the center of the gym are “safe zones”. When the game starts, runners have to get to the center safe zone, grab one or two items max, and then run back to their team’s home base, all of this without being tagged. If tagged by another team’s tagger, then the tagged runner has to fall down and call for help. In order to get to safety another team member (anyone) has to drag that member back to home base. While dragging someone, you can’t get tagged. There are other little rules, but you get the picture! After 30 minutes of running, tagging and building, I call time and I measure the height of all the marshmallow towers. The tallest one wins! I end with a debriefing session, asking them questions like: “what was difficult about this game?”, “what would you have done differently?”, “how does this game resemble real life or faith?”. The object of this game is to put together a boat that will float and also hold a predetermined amount of weight for a fixed amount of time. This game requires a pool. 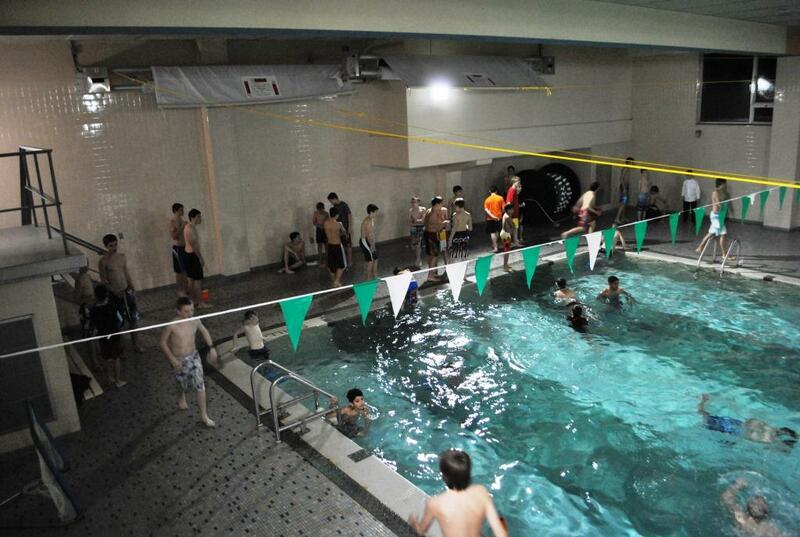 The teams had their home base on one side of the pool, outside of the pool. Resources were on the other side of the pool, as well outside of the pool. Like in the previous game I mentioned, each team had to select builders and a few swimmers. The resources were straws, tape, scissors, and plastic saran wrap. They had to hold none other than 100 pennies! In order to obtain resources, swimmers walked (it was slippery!) over to the other side of the pool, grabbed one or two resources max, and then had to swim from one side of the pool to the other. However, they had to avoid the “sharks” that could tag them while swimming. The sharks were two or three older boys that helped with the camp. If tagged, the swimmer had to get out of the pool and trying swimming across again. As you might imagine, this was a great workout! After 30 minutes, I called time, and tested if each team’s boat could carry the predetermined weight. If it could, they got extra points or a special prize. 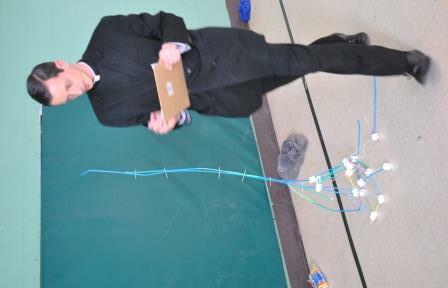 Again, I ended with a debriefing session as in the “marshmallow tower & samurais” game. So what about dodgeball? It’s the same, except that you tag people by throwing a dodgeball at them. There are tons of variations, and it’s up to each youth minister to figure out the best setup for their program. These are great team building activities that also allow teens to spend their energy having fun! Posted in ActivitiesTagged activity, competitions, ECyD, faith formation, formative activity, games, group activity, models of ministry, resource, retreats, showcase ideas, summer camps, teambuilding, youth ministryBookmark the permalink. Great ideas! I think I’ll add them to my repertoire when I can. Thank you Fr. Matthew!! There have to be tons of possible combinations! Thanks! If you try it, hope you have fun!